Nonalcoholic fatty liver disease is an increasingly common condition that may progress to hepatic cirrhosis. This pilot study evaluated the effects of a low-carbohydrate, ketogenic diet on obesity-associated fatty liver disease. Five patients with a mean body mass index of 36.4 kg/m2 and biopsy evidence of fatty liver disease were instructed to follow the diet (<20 g/d of carbohydrate) with nutritional supplementation for 6 months. Patients returned for group meetings biweekly for 3 months, then monthly for the second 3 months. The mean weight change was −12.8 kg (range 0 to −25.9 kg). Four of 5 posttreatment liver biopsies showed histologic improvements in steatosis (P=.02) inflammatory grade (P=.02), and fibrosis (P=.07). 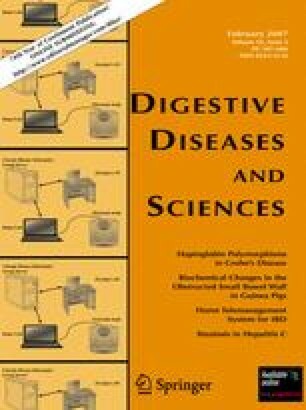 Six months of a low-carbohydrate, ketogenic diet led to significant weight loss and histologic improvement of fatty liver disease. Further research is into this approach is warranted.